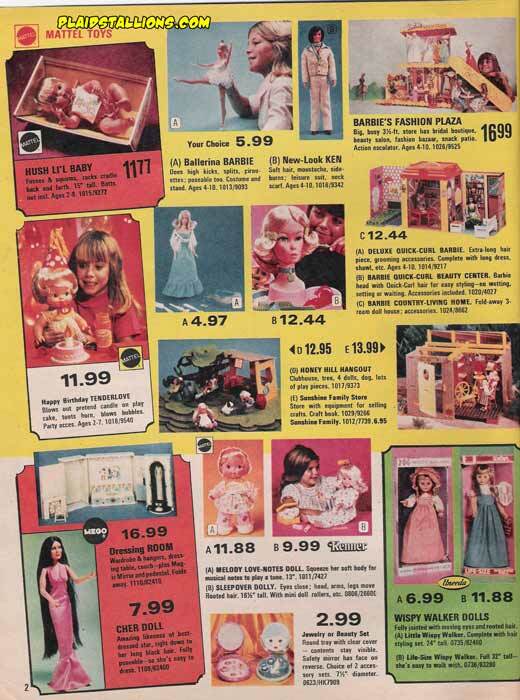 Barbie was still queen of the girls aisle in 1976 and dig the leisure suit on Ken! 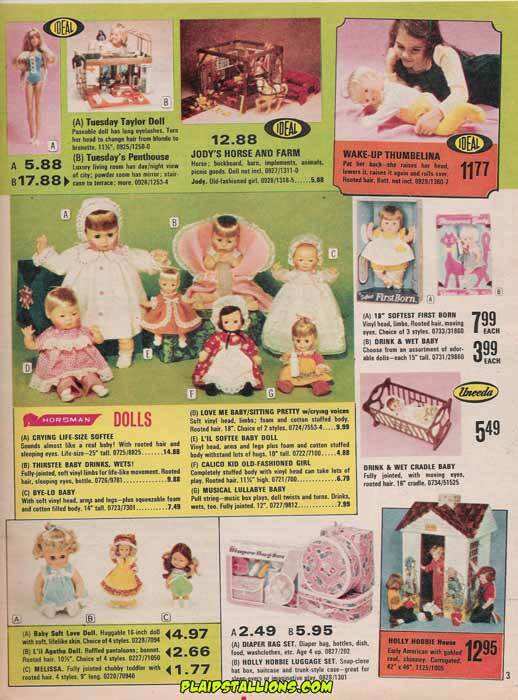 The comeptition for the girl's aisle was heating up however with the launch of Mego's star studded Cher line. Cher had outfits designed by Bob Mackie! Ideal was also gunning hard for Barbie with their own fashion doll, Tuesday Taylor.